For over 200 years, USC has served Southern California as one of the top-tier universities in the world. Like many other schools, USC had yet to adopt more modern methods that appeal to their technically savvy students. 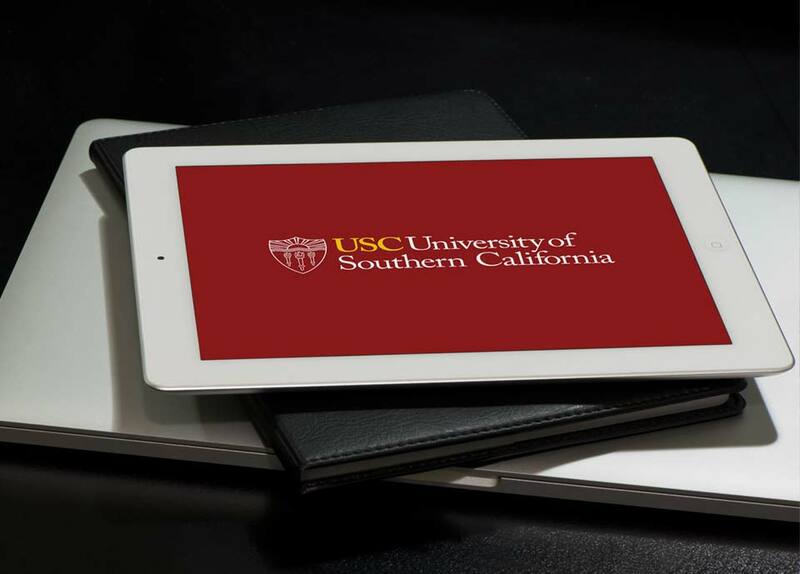 Each year, USC would provide each new student with a dense 180 page admissions book. The book was not only difficult to navigate, but it cost the university a lot of money to print and distribute this material. 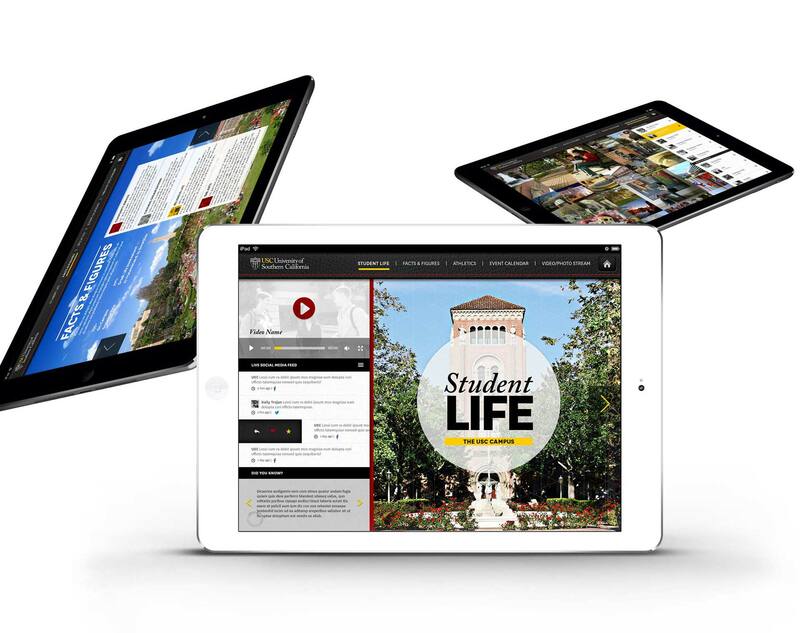 To better engage with their incoming students, USC partnered with Devise Interactive to turn their admissions book into an interactive iPad application. 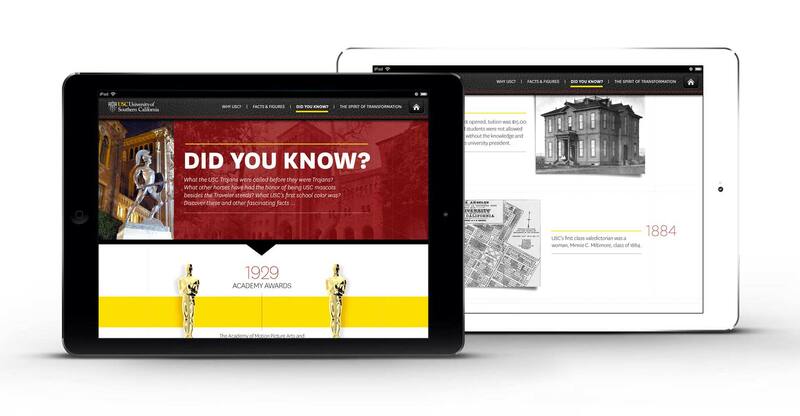 Devise Interactive and USC partnered together to transform 180 pages of admissions information into an easy to use format for their students. 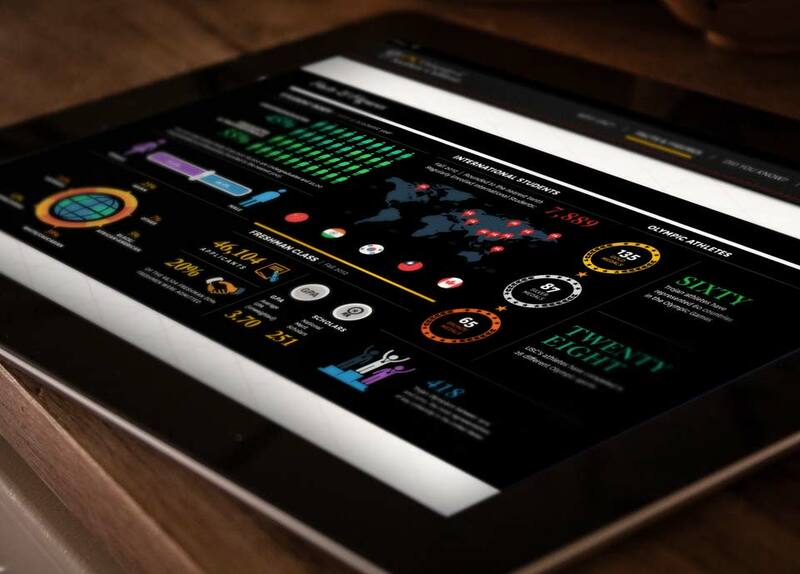 Our strategy was to create an interactive iPad solution that would present the pertinent information in a digestible, yet lively way. Inspired by the Windows 8 block-like interface, the iPad application presented the different chapters of the book as separate sections. This user-friendly interface also wove in videos and social media integrations to maintain relevant content. 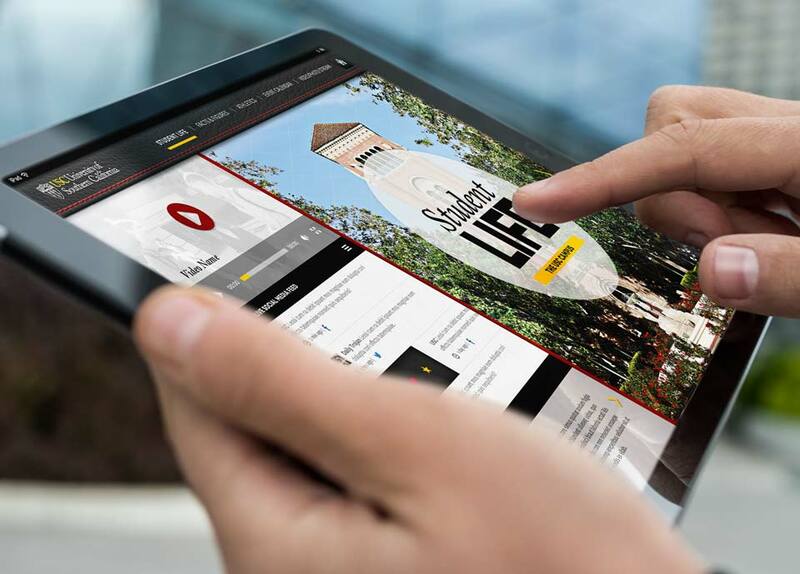 Because universities are constantly adapting, we created a dynamic API for USC to update and manage their content in real-time through a back-office web-interface. The university would be able to maintain the most relevant and up-to-date material for their students. 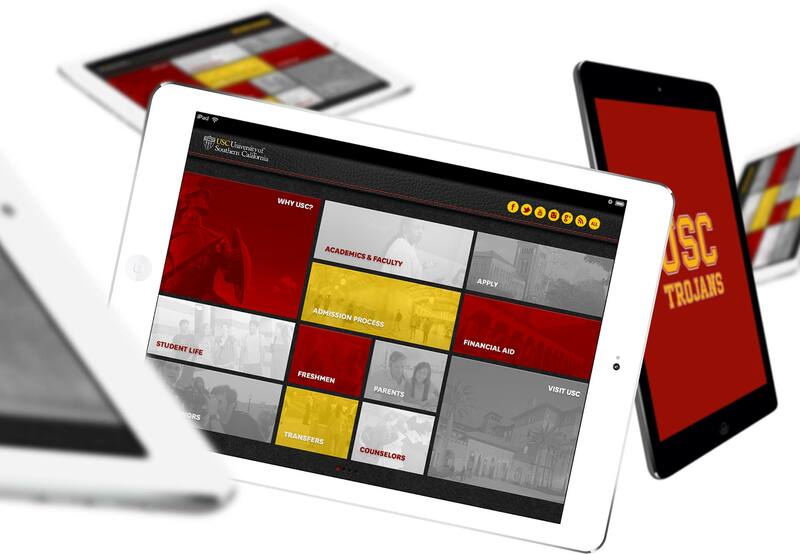 Our team built an iPad application from the ground up that transformed a heavy and expensive admissions book into an easy to use digital interface for new students. 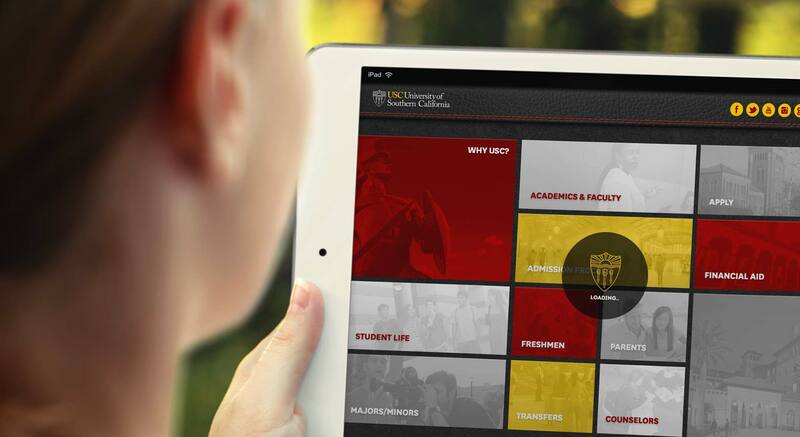 Our application has radically changed the way USC provides new students with information, and it will now allow for a more constant and fluid communication method for the university.